The Jack Nicklaus Signature Golf Course at Turtle Point, one of five championship layouts at Kiawah Island Golf Resort, closed in January to begin a nine-month renovation. Jack Nicklaus surveyed the course in late October with other Nicklaus Design associates and made recommendations for changes. According to Brian Gerard, Kiawah Island’s Director of Golf, in addition to the design changes, the tees, fairways and greens will be converted to Paspalum—the salt-tolerant strain of grass that is currently on the Ocean, Osprey Point and Oak Point courses at Kiawah Island Golf Resort. 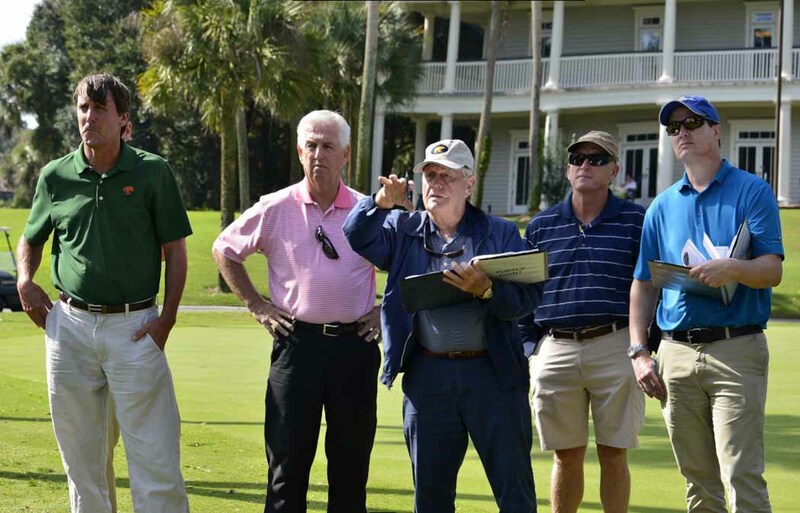 Nicklaus has prepared plans for rebuilding all 18 greens including moving five greens due to shade issues and expanding fairway sizes from 20 acres to 34 acres. “We’ll be adding new tees on multiple holes and raising a number of the tee boxes,” said Gerard. “Additionally, we plan to add a pond to the par-3 seventh hole, and expand the pond on the par-5 second hole and move the green to the right behind it to change the second and third shot into that green. In addition to the course design changes, crews will work around the ponds and wooded areas of the course reclaiming overgrowth; the entire irrigation system on the golf course will be rebuilt; work will be done on the maintenance building; and a new pump house will be built. During the renovation, the golf school will be held at other resort courses. Tomasso, Turtle Point’s Italian restaurant, and the pro shop will remain open throughout the renovation. Located along 10 miles of pristine beach just south of Charleston, S.C., Kiawah Island Golf Resort is rated as one of the country’s top resorts by Golf Magazine, Golf Digest and Conde Nast Traveler magazines. It includes The Sanctuary at Kiawah Island Golf Resort, the resort’s ultra-luxury 255-room hotel and spa—and nearly 500 private villas and luxury homes, five championship golf courses, including the Ocean Course (host of the 1991 Ryder Cup and 2012 PGA Championship), and has been named the site of the 2021 PGA Championship. The resort has also been ranked the No. 1 tennis resort in the world by Tennis Resorts Online, and features a renowned recreation and nature program. For more information, visit kiawahresort.com.